Most mobile workstations peak at four CPU cores, but what if you want a mobile powerhouse for ray trace rendering or simulation but can’t quite fit your desktop workstation in your rucksack? It’s certainly like no other mobile workstation we’ve seen before - ideal for ray trace rendering or computer aided engineering (CAE) which thrive on many core processors. The reigning world chess champion and the highest-rated player in the history of the game with an ELO rating of 2872, Magnus Carlsen, was recently in Silicon Valley. Mr. Carlsen was at a Q&A session hosted by Churchill Club, one of Bay Area’s foremost technology and business forums, and PayPal co-founder, entrepreneur, and investor, Peter Thiel. We are at the Computer History Museum in Mountain View, so when I catch up with the 23-year old Norwegian grandmaster after the event, it is technology we talk about. Carlsen: I use a 8-core laptop from Eurocom, with various chess programs, databases, and engines. Review: Eurocom Panther 4.0 Mobile Workstation - The Eurocom Panther 4.0 “super-laptop” beats out top-of-the-line desktop systems. Like previous Panther mobile workstations, the Eurocom Panther 4.0 uses some decidedly non-mobile components -- such as a server-class Intel Xeon E5 processor -- to achieve all of that power. Based on Eurocom’s lofty claims and our past experience, we expected to see stellar performance from the Panther 4.0. And we got it: On the SPECviewperf test, which focuses solely on graphics, the Panther 4.0 not only outperformed every mobile system we’ve ever reviewed, it beat all of the desktop workstations as well. 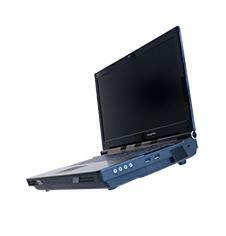 The Eurocom Panther 4.0 is meant to replace a desktop workstation for power users on the go. While its price likely makes it a niche product, this time around Eurocom got it right. The Panther 4.0 really does perform like a super laptop, delivering amazing power in a portable package. En esta ocasión tenemos la oportunidad de analizar uno de los mejores portátiles para juegos que existen hoy en día. Lo que llama la atención del equipo es básicamente que todo el hardware puede ser remplazado sin dificultad, si eres poseedor de un portátil sabrás que la mayor parte de los componentes suelen estar soldados por lo que al comprar un portátil debemos pensar que nos debe durar varios años, mientras que con el Eurocom podremos reemplazar el 60% de los componentes independientemente, cambiar la gráfica, cambiar el procesador, cambiar la RAM, cambiar los ventiladores, teclados, etc. Si abrimos al gran monstruo descubriremos la perfección con la que todo está instalado, dejando espacio entre componente y componente para permitir un buen flujo de aire. Recientemente Eurocom ha ganado un premio concedido por Intel en los Ángeles a este portátil por sus increíbles características. First Look Review: This mobile workstation delivers a brilliant display, good memory and storage capacity, and terrific speed. The Eurocom Panther 4.0 mobile workstation offers enough computing and graphics power to tackle all but the most demanding tasks. It is loaded with system memory, offers an excellent display, and has tremendous room to grow when it comes to hard drive storage. Brian Nadel, from ComputerWorld looks at three different high performance notebooks: the Eurocom Panther 4.0, HP Envy 17 and MSI GT783. The three systems are tested and benchmarked, as expected the EUROCOM Panther 4.0 devours the competition and outpaces every system in terms of all out performance. Never before in computer history has a mobile system been offered that packs the amount of high performance hardware inside a single platform. The EUROCOM Panther 4.0 beats the competition, in this testing scenario, at PassMark PerformanceTest 7.0 (12GB), PassMark PerformanceTest 7.0 (16GB) and Cinebench CPU. In a review of the Gateway FX6860 desktop, ComputerWorld compares it to a the EUROCOM Panther 4.0 Mobile Workstation. Yes, that's right a Mobile Workstation, a notebook being compared to a 750 watt desktop system. The EUROCOM Panther 4.0 does quite well actually, beating the HP Pavilion HPE h8-1050 and Gateway FX6860 in the PassMark PerformanceTest 7.0 benchmark. In the Maxon's CineBench 11.5 processor suite, the Panther 4.0 again dominated, scoring 20% higher than the Gateway.